Franklin Performing Arts Company (FPAC) announces its 27th season, with performances in THE BLACK BOX, FPAC’s home and performance venue in downtown Franklin, and two holiday productions staged at Franklin High School. FPAC opens the season with award-winning playwright Yasmina Reza’s God of Carnage, presented September 29-October 1. Winner of the 2009 Tony Award for Best Play, the acclaimed dark comedy takes place in the Cobble Hill neighborhood of Brooklyn, where civility unravels as two sets of parents discuss how to deal with a playground altercation that occurred between the couples’ sons the previous day. Following God of Carnage, FPAC presents Spamalot on October 21-22 and 27-29. A hilarious retelling of the legendary tale of King Arthur and his Knights of the Round Table, the musical parody is inspired by the 1975 classic comedy film, Monty Python and the Holy Grail, and likewise diverts from more traditional versions of the legend. Spamalot features irreverent shenanigans including a bevy of beautiful showgirls, a flatulent Frenchman, and killer rabbits. Outside there is plague with a 50 percent chance of pestilence and famine. Throughout the show, Arthur, traveling with his servant, Patsy, recruits several knights, including Sir Bedevere, Sir Robin, Sir Lancelot and Sir Galahad, to accompany him on his quest. They meet such memorable characters as the Lady of the Lake, Prince Herbert, Tim the Enchanter, and Not Dead Fred. With book and lyrics by Eric Idle and music by John Du Prez and Eric Idle, the 2005 Broadway production won three Tony Awards, including Best Musical, after receiving 14 Tony Award nominations. FPAC’s holiday season features the classic ballet, The Nutcracker, on December 2 and 3, followed by the original FPAC musical ’Tis the Season! on December 9 and 10, and FPAC’s third annual holiday panto on December 22 and 23. The Nutcracker and ’Tis the Season! will be performed at the Franklin High School theater, while the panto will be staged at THE BLACK BOX. The Nutcracker remains a highly anticipated and treasured part of the FPAC season – a popular holiday tradition for more than 20 years. Presented with live professional orchestra, FPAC’s magical journey of The Nutcracker showcases more than 100 area dancers and features special guest artists from such prestigious companies as American Ballet Theatre and Boston Ballet. ’Tis the Season! is an original large cast musical first presented by FPAC in 1995. The upbeat, jazzy holiday extravaganza features a professional orchestra and contemporary arrangements of favorite holiday classics in many musical styles including R&B, jazz, rock, Motown, gospel, and Broadway. FPAC’s original panto follows in the British tradition, retelling a well-known fairy tale in an exaggerated style filled with audience participation, popular music, slapstick comedy, jokes, dances, and more. Audiences are invited to cheer for the hero, boo at the villain, and sing along to favorite songs. The panto also entertains with double entendre, references to modern culture, and open satire of other works. After the holidays, FPAC stages Noises Off on January 19-21. Commonly called “the funniest farce ever written,” Noises Off presents a manic menagerie of itinerant actors rehearsing a flop called Nothing’s On. Written by Michael Frayn, Noise’s Off was awarded the 1982 Olivier Award for Best Play and the 1982 London Evening Standard Award for Best Comedy, and received 1984 Tony and Drama Desk Award nominations for Best Play. The weekends of March 10-11 and 16-18, FPAC presents the hit family musical Joseph and the Amazing Technicolor Dreamcoat. Based on the biblical Joseph story, the lively Andrew Lloyd Webber and Tim Rice musical follows the trials and triumphs of Jacob’s favorite son in a high-energy, high-adventure retelling of epic proportions. The musical is entirely sung-through and boasts catchy songs of many musical styles, from country western, and calypso to pop, disco, and rock ’n’ roll. The enduringly popular Joseph is a colorful and uplifting show for audiences of all ages. The last mainstage musical of FPAC’s 2017-2018 season is The 25th Annual Putnam County Spelling Bee, presented June 1-2. Winner of the Tony and Drama Desk Awards for Best Book, The 25th Annual Putnam County Spelling Bee has charmed audiences across the country with its effortless wit and humor. Featuring a fast-paced, wildly funny, and touching book by Rachel Sheinkin and a fresh and vibrant score by William Finn, this bee is one unforgettable experience. Additionally, Broadway's Ben Cameron hosts a special one-night-only show at the Franklin Performing Arts Company’s annual Gala on Saturday, October 14. Titled “Anything Goes in THE BOX,” the signature event begins at 6 p.m. at THE BLACK BOX. Ben Cameron has appeared on Broadway in Aida and the original casts of Wicked and Footloose. He has toured with Sweet Charity, Fame, Tommy, Footloose, and State Fair and is currently the creator/host of Broadway Sessions at The Laurie Beechman Theater. Founded in 1991, the FPAC brings together professional artists, community performers and students of the arts in a collaborative and creative environment, with a special focus on youth development and a commitment to live music. 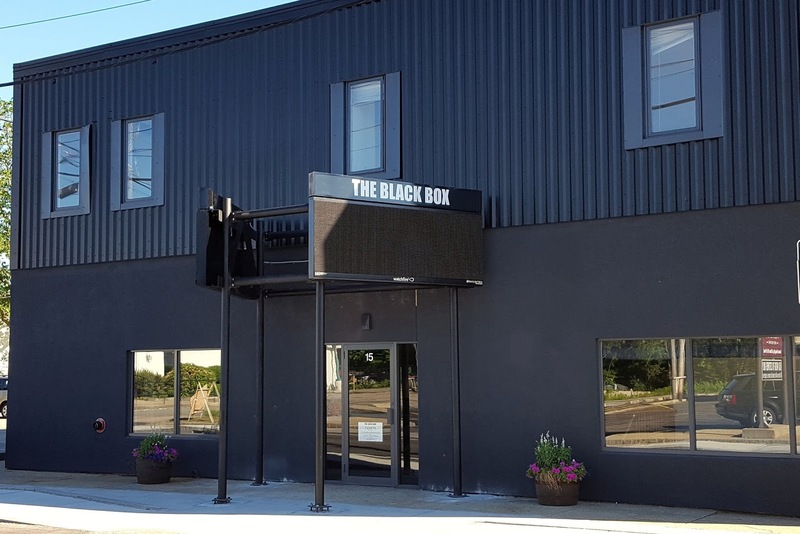 THE BLACK BOX theater, music, and event venue is a community-oriented cultural facility providing a dynamic outlet for artistic expression, quality entertainment, arts appreciation, and learning. For more information, call (508) 528-3370 or visit www.FPAConline.com and www.THEBLACKBOXonline.com.